I have always been a big Oprah fan. Sure, I wasn't shaking, crying and hysterical like some of the people in the front row - but I admire and respect her for everything she has done and accomplished. I was incredibly lucky when a last-minute seat opened up in the Executive section, where ticket holders had paid $500 for a seat to be about 10 rows back from the big O. In front of us were the Emerald seats, worth over $1000 each. Of course, every single one of the 8500+ seats were filled and Toronto went crazy for Oprah. 1) A positive outlooks goes a long way. It was the one uniting theme I picked up from all the speakers that day. 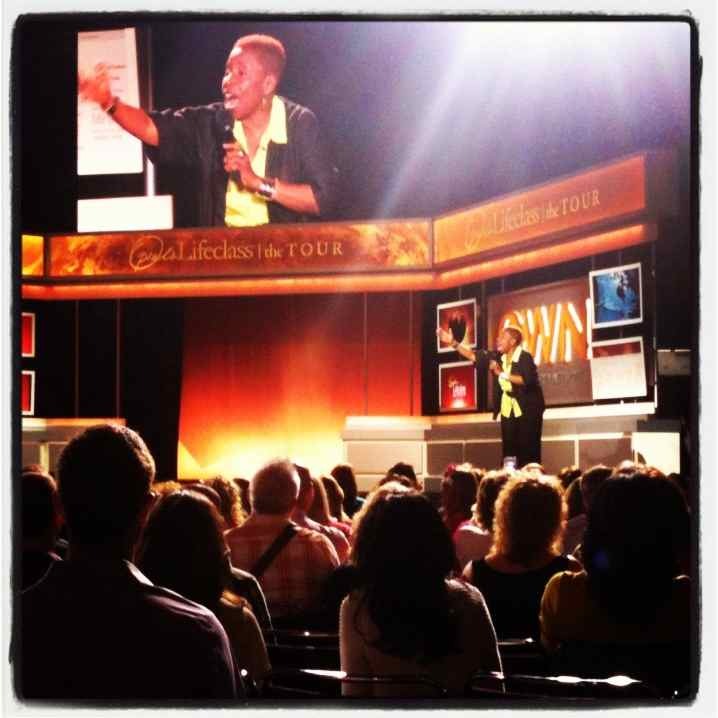 Iyanla Vanzant points out that you should never say, "I'm broke." Try, something along the lines of, "I'm temporarily out of funds". Never say, "I'm single". Try saying that you're just waiting for the right person to present themselves in a form that I am happy with. I like that Iyanla. She was by far the most entertaining speaker of the day. She's funny, sassy and you can't ignore her when she's trying to get her point across. 2) Negativity is a problem. If you're a hater, naysayer or a negative person you'll never get far in your own life before your ego gets in the way. I've seen this exist in many people that I know and now try to avoid. You know who I'm talking about. It's the person who will bring up every reason why something won't work when you come up with something brilliant. I used to be a very negative person, who was somewhat angry with the world. I eventually got around to reading A New Earth by Eckhart Tolle (also an Oprah book club pick) and it was influential in changing my personal outlook on ego on others. Yes, it's a bit hokey and new age-esque for me but I really came to appreciate all the messages by the end. I highly recommend it if you haven't read it. 3) Stop blaming other people. Tony Robbins pointed out that if you're unhappy with how your life turned out, stop blaming other people for that. Take that energy and channel it into what you can do to make your life better. I also learned why Tony Robbins has such a following, his energy, intensity, passion for life and positivity is infectious. He says things that make sense, even when it should just be common sense because sometimes we all need a reminder. 4) It doesn't matter what others think of you. In fact, Deepak Chopra points out that it's really none of your business. So stop putting so much time and weight into this and stop giving away your power to other people. Who cares what people think of you? It's really just none of your business, so get on with your life. 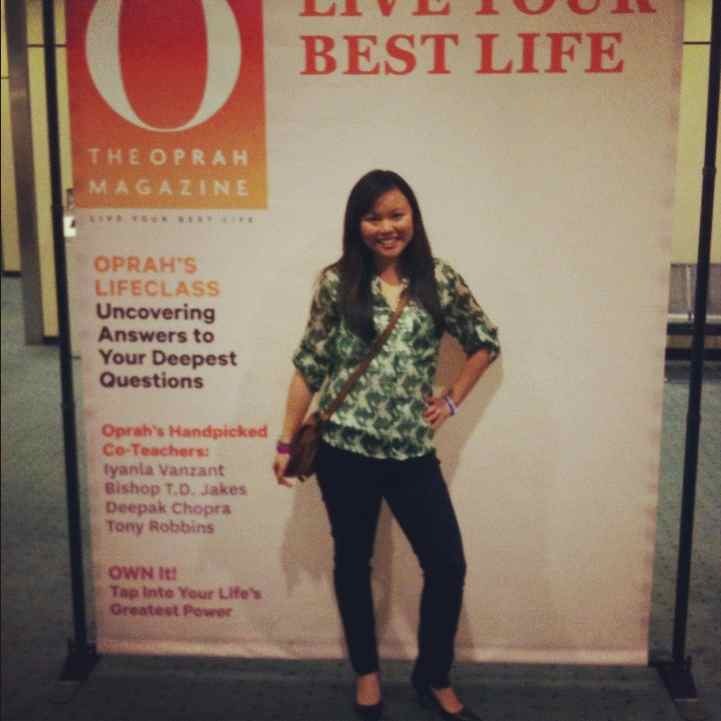 5) It's exhausting to be Oprah. Sure she's one of the richest people in the world, but she works hard for the money. 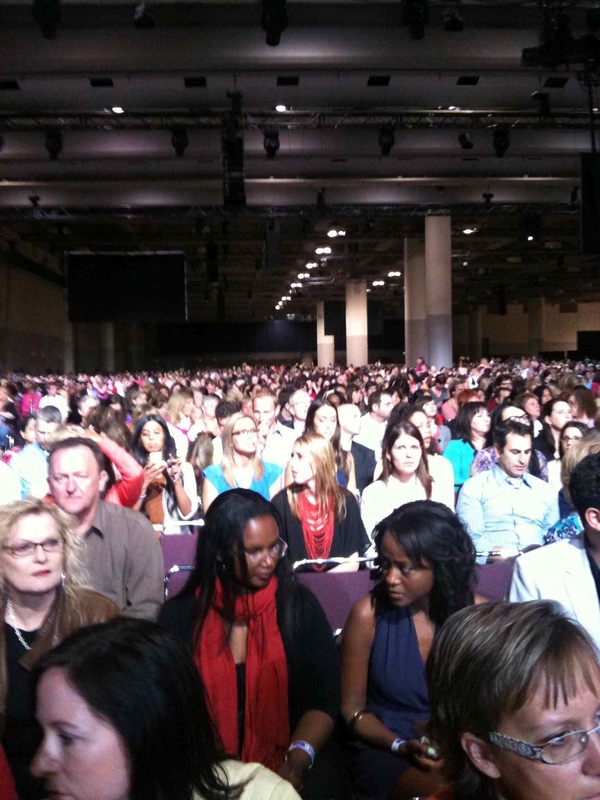 Not only had she taped a show in the morning (with another intense group of 8500+ people), but Oprah brought a fresh new show together for the evening audience. Someone was trying to pitch her between every single commercial break and fans were constantly yelling out to her and she responds to each and every one of them in a cheerful way. You can tell that Oprah really loves what she does and she's damn good at it too. 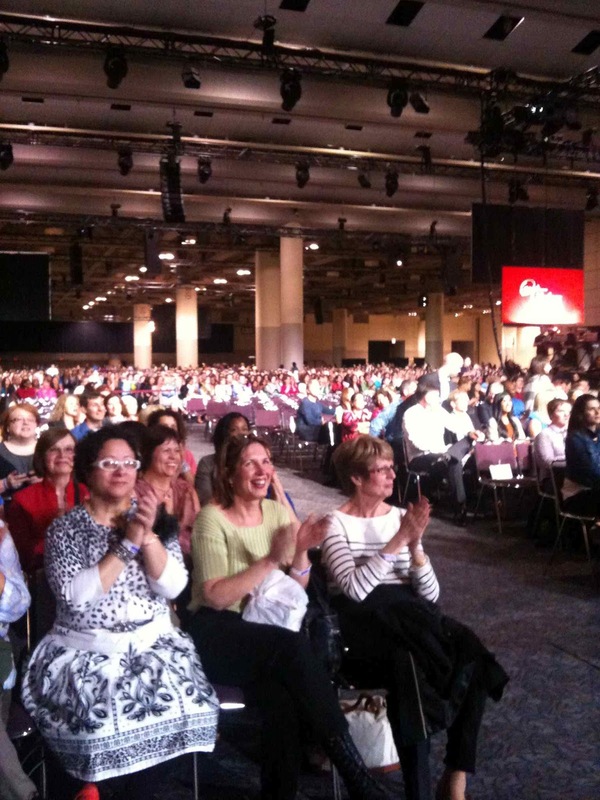 Did you attend either of Oprah's tapings in Toronto? 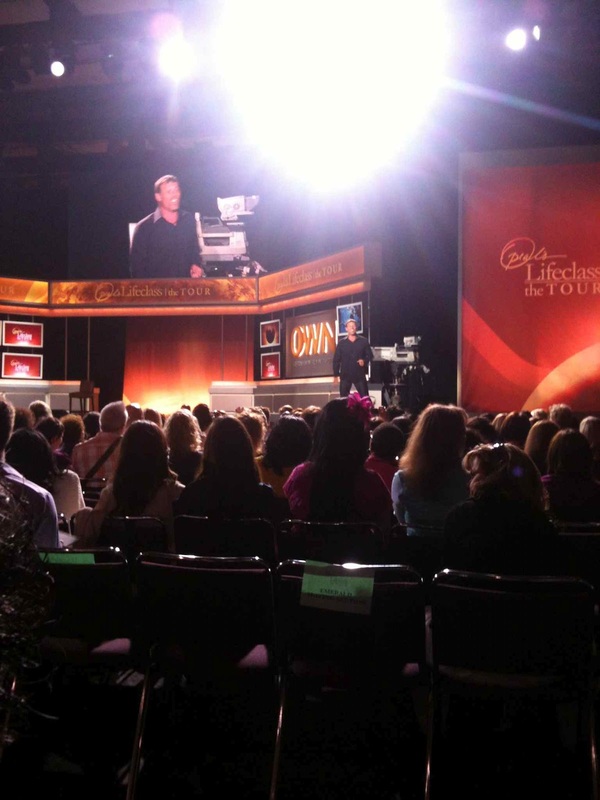 What were the biggest lessons you took away from Lifeclass? I love this review, very thoughtful, sensible! I too attended Oprah's Lifeclass and had the opportunity to move up to the executive seats! I had a journal and was writing key points. One of the quotes that stuck with me was "Holding onto resentment is like holding your breath, you suffocate"
I watched it on TV ... good advice from the presenters. Great recap! I attended the evening show as well and it touched me in an immense way. I also did a recap on my blog about the lessons from the day but the main message that resonated with me was to be 'Pregnant with Possibility'. Our dreams are within reach if we nurture them and push through the pain to give 'birth' to something beautiful.